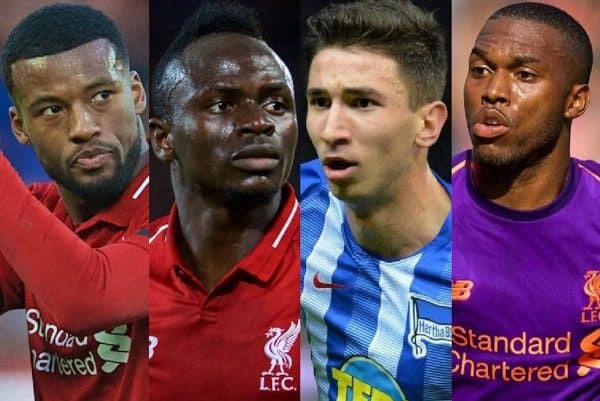 We round up the latest Liverpool news and transfer rumours on Tuesday, as the Reds prepare to take on Porto in the Champions League. A strong statement from the club after Sunday. The Reds are in good health ahead of the decider. Huge praise from the Reds legend. A fantastic piece of news to brighten up your day. The Portuguese posted a very pointed message after Sunday’s hat-trick. Don’t worry, Liverpool aren’t considering a move for veteran hothead Pepe—who will return from suspension for Porto on Wednesday night, incidentally. Instead, they are reportedly lining up a summer bid for Nicolas Pepe, who has enjoyed a superb season for Lille, scoring 19 goals in 33 appearances. L’Equipe claim that the Reds have joined Man City, Man United and Chelsea in the race for his signature, with a bid of around €70 million being rumoured, adding depth in wide areas. 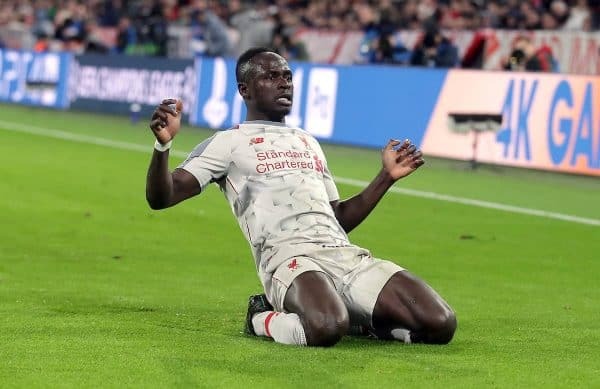 According to El Chiringuito TV, Real Madrid enquired about a price for Sadio Mane, only for Liverpool to do the same about Vinicius Junior. The Liga giants were swiftly unwilling to discuss a move for the highly rated 18-year-old, seemingly bringing an immediate end to the saga. Jurgen Klopp is claimed to be ‘obsessed’ with the Brazilian forward, who has scored four goals in 28 appearances this season. We’re fine with keeping Mane, thanks! Could Managerial Change Impact Grujic? Hertha Berlin have confirmed that manager Pal Dardai will leave his role in the summer. 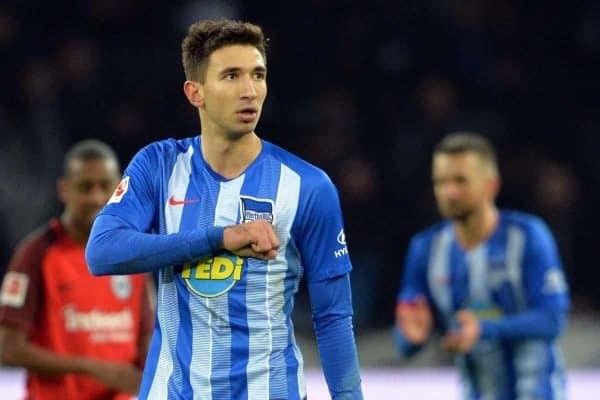 The 43-year-old has been in charge of the Bundesliga side since 2015 and has played a key role in Marko Grujic thriving this season. He even recently labelled the Serb “by far the best midfielder at Hertha Berlin in 20 years”—an enormous compliment that outlined the faith he has in him. Liverpool’s on-loan midfielder is thought to be keen on extending his stay in Germany, but could Dardai’s exit impact on that decision? Gini Wijnaldum has arguably been Liverpool’s best midfielder this season, but he has found himself out of the team of late due to the impressive form of Jordan Henderson and Naby Keita. “What I also like is the fantastic mentality of Wijnaldum. “The final sprint becomes so important. Yet Gini deals with that in a great way. 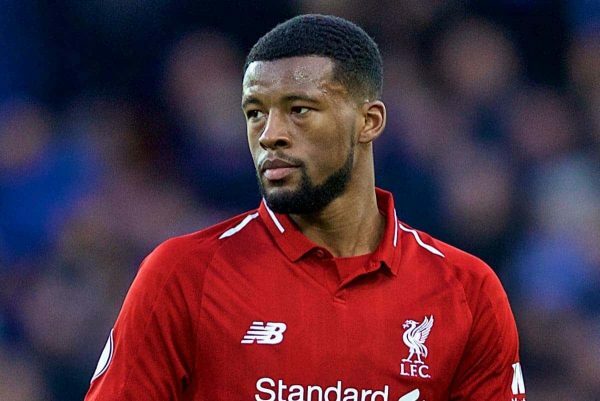 Wijnaldum could return to the Liverpool side to face Porto, given the freshness now likely to be in his legs. 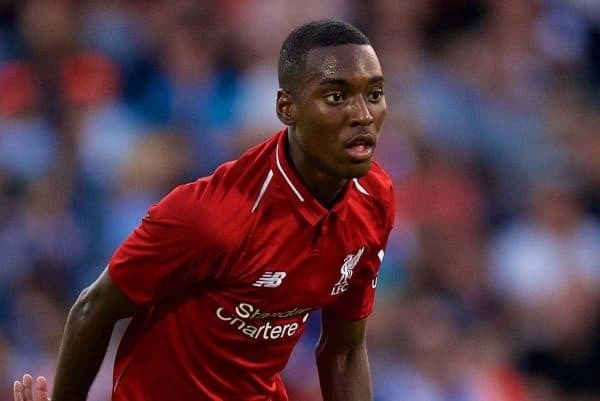 Rafa Camacho has been in the news after a social media post hinted at his unhappiness at Liverpool, with a new deal unlikely to be agreed. The Portuguese youngster is already being linked with a number of clubs ahead of a summer move, but his preference is to remain in the Premier League. Those are the claims of O Jogo, via Sport Witness, who believe Wolves currently look the strongest candidates ahead of Benfica, RB Leipzig and former club Sporting CP. Coincidentally, Camacho actually made his Liverpool debut away to Nuno Espirito Santo’s side in the FA Cup third round back in January. He played no part in the Reds’ open training session on Tuesday, further suggesting his time at the club is up. 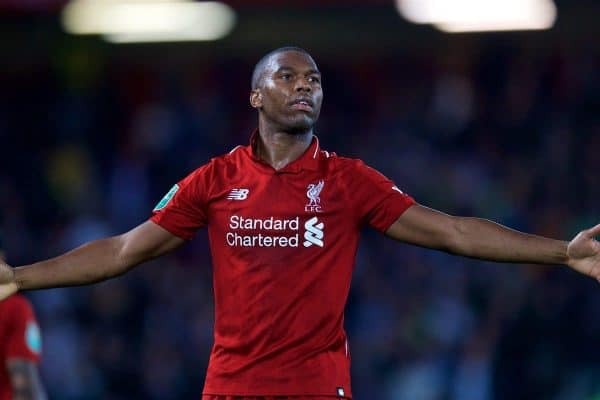 Daniel Sturridge‘s Liverpool career has petered out after a promising start to the season, with the striker not scoring since his brilliant late equaliser at Chelsea in September. Bwin have revealed that the 29-year-old has spent more time on the substitutes’ bench than any other outfield player this season, totalling one day, 15 hours and 13 minutes. Burnley‘s Matej Vydra (one day, 14 hours, 50 minutes) and Leicester’s Christian Fuchs (one day, 14 hours, 33 minutes) complete the top three. It highlights how much of a bit-part player Sturridge has become under Klopp, and why his exit this summer feels inevitable. His last start came at Wolves in the FA Cup. 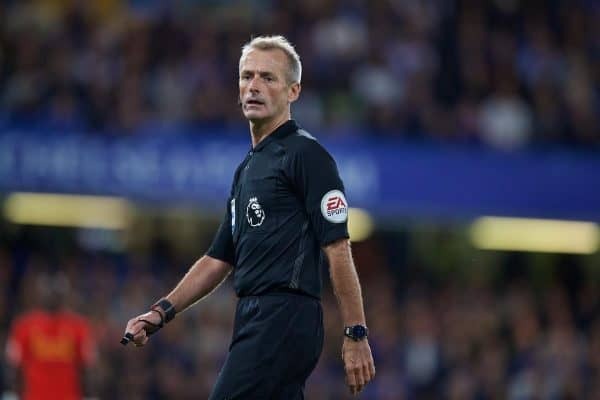 Martin Atkinson will take charge of Liverpool’s trip to Cardiff on Sunday afternoon, on another huge day for the Reds. Klopp’s men know that victory will continue to put the pressure on City, who host Tottenham on Saturday lunchtime. Atkinson will take charge of a Liverpool game for the sixth time in the Premier League this season—more than any other side. The most recent of those was the 2-1 win over Spurs last month, although his refusal to award Keita a late penalty in the 1-1 draw at home to Leicester will not be forgotten by supporters.